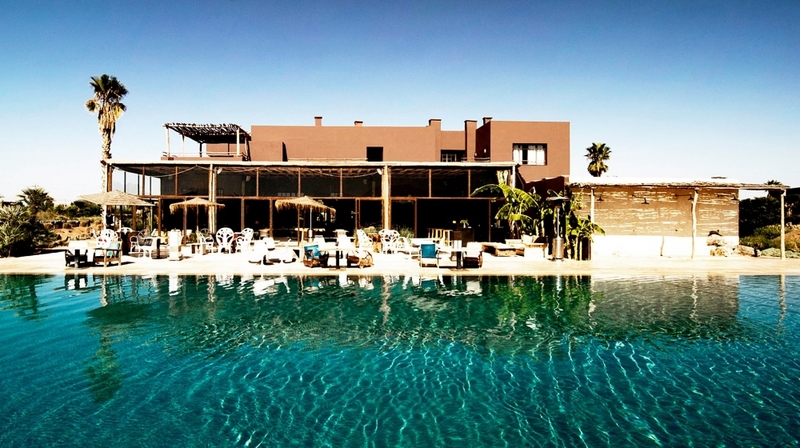 The Fellah is a luxury hotel in Marrakesh. Located in a desert enclave, yet only a 15-minute drive from the city�s mythical medina and souks. 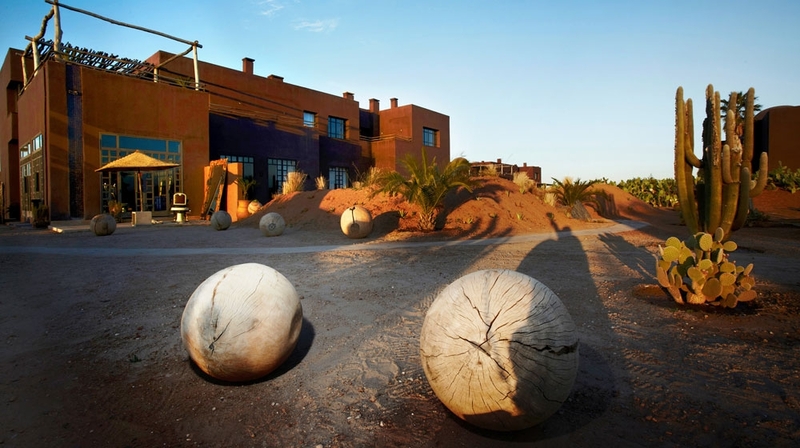 Not your typical Riad, Fallah is brimming with art installations, a Ford Fiesta chassis, bold artwork and the odd desert sculpture add to its magical charm. 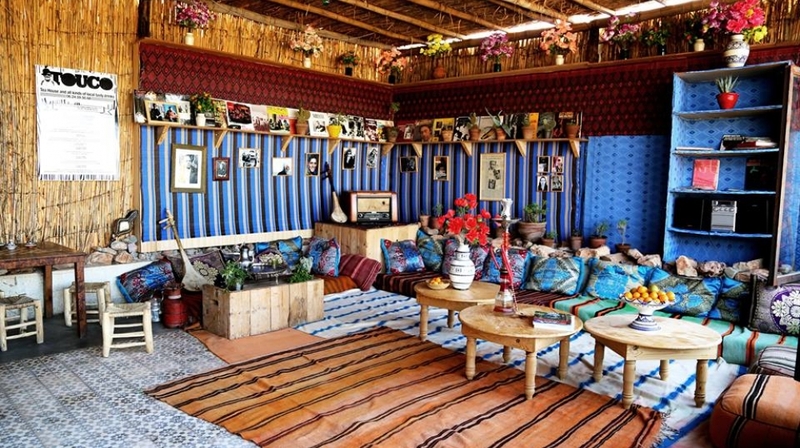 The Fellah is a unique hideaway devoted to fair eco practices and celebrating contemporary Moroccan arts and rural heritage. Stylish villas are spread elegantly over an idyllic 6-acre natural park. Beautiful landscaped gardens lead to chic outdoor terraces, as well as the hotel�s outdoor swimming pool. When your ready to explore, take an excursion and experience the bustling souks of nearby Marrakech and visit Jemaa-El-Fna Square with its strange but enchanting array of musicians, snake charmers and the odd acrobat. These Moroccan art deco-style rooms have antique furnishings, including a queen-size bed. 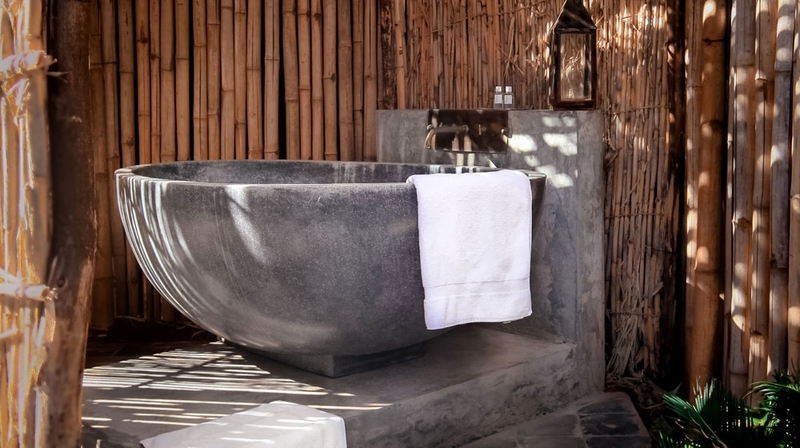 There's a freestanding rainfall shower and hand-made bath products (some rooms also have two sinks) in the tiled bathroom, and rooms have a mini fridge, a safe, bathrobes, free bottled water, black-out curtains and free WiFi. Some of them have private terrace with a sweeping views of the Atlas Mountains. 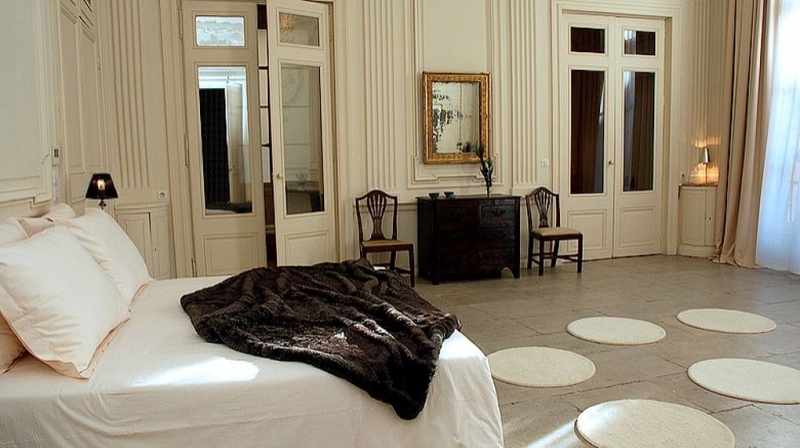 These rooms are decorated in a Moroccan art deco-style � with an antique queen-size bed. There's a mini fridge, a safe, bathrobes, free bottled water, black-out curtains and free WiFi. The tiled bathroom has a freestanding rainfall shower and handmade bath products. 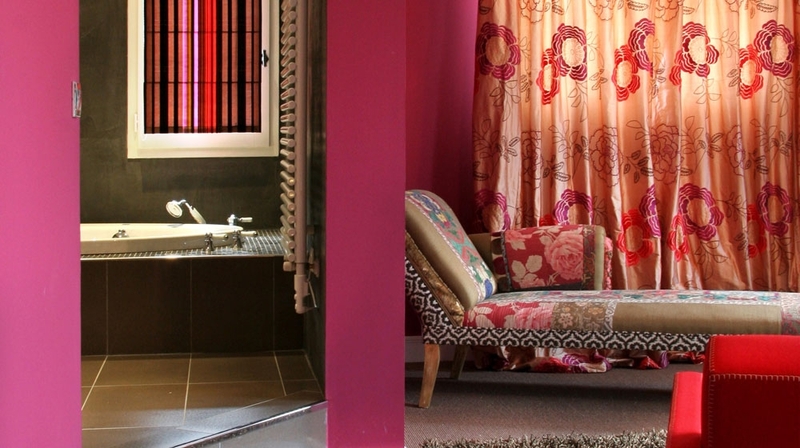 Rooms also have a private terrace, some with outdoor bath tubs. 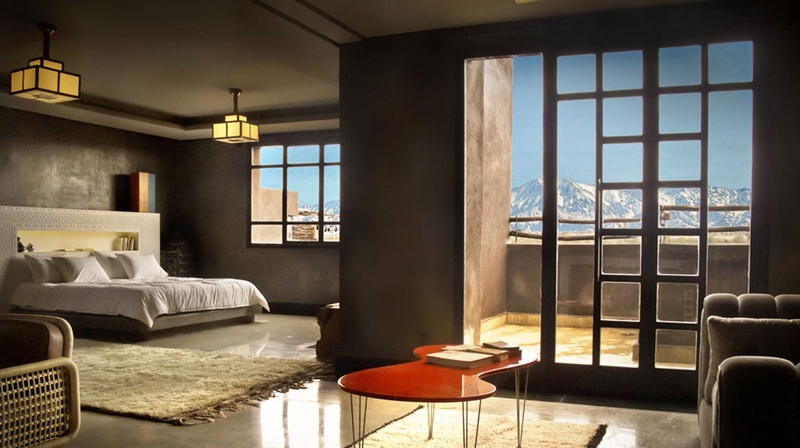 These suites have Moroccan art deco-style antique furnishings, including a king-size bed and a fireplace. There's a flatscreen TV, mini fridge, a safe, bathrobes, free bottled water, black-out curtains and free WiFi (DVD players and iPod docks are available on request. The tiled bathroom has a freestanding rainfall shower and separate bath tub, and hand-made bath products. All but two suites have a private terrace with views of either the Atlas Mountains or the hotel's gardens. 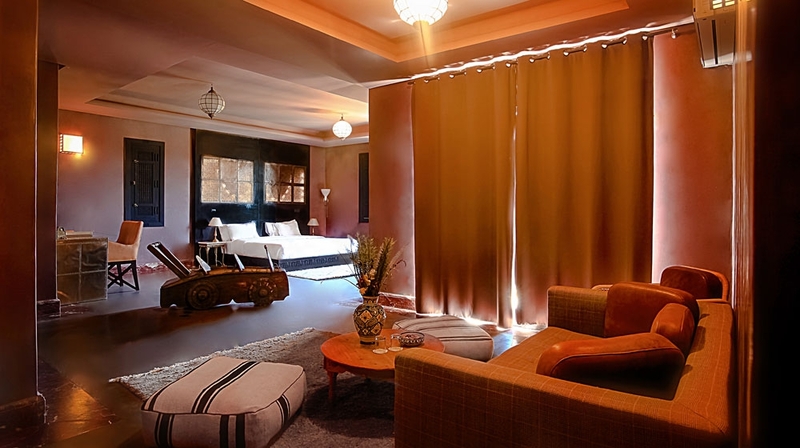 Decorated in a traditional Moroccan art deco style with a king-size bed. 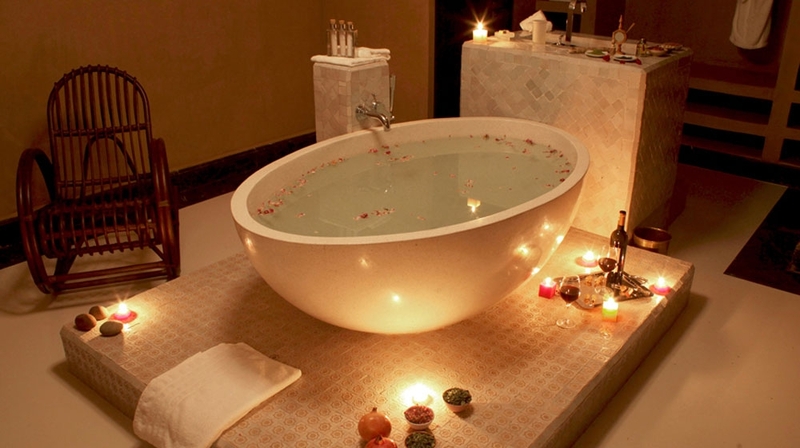 The bathroom has a freestanding rain shower, a bath tub big enough for two and hand-made bath products. All suites have a flatscreen TV, mini fridge, a safe, bathrobes, free bottled water, ironing board, black-out curtains and free WiFi (DVD players and iPod docks are available on request). 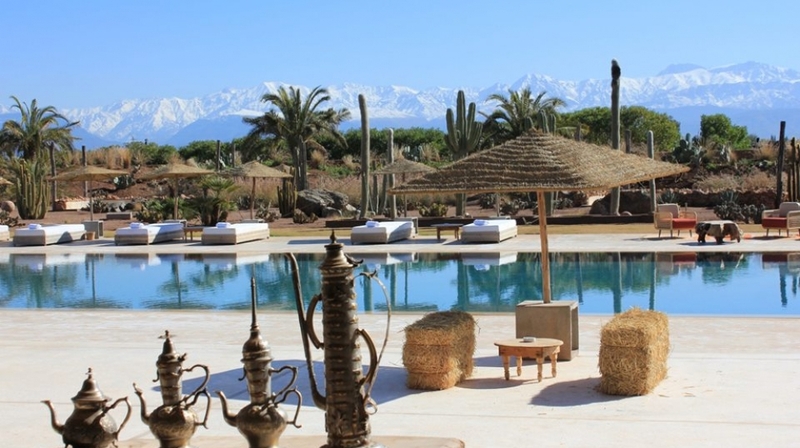 Private terraces have views of either the Atlas Mountains or the hotel's landscaped gardens. Farm, spa and hammam, a gym and boxing ring, library (with movies), souvenir shop, spice and coffee shop, laundry and free WiFi. With a soothing spa offering a hammam, body treatments, yoga and Tai Chi classes, an outdoor pool and an rather impressive collection of modrn art, this is a tranquil and relaxing spot far from the hustle and bustle of Marrakech. The hotel restaurant�s gourmet market-fresh cuisine can be enjoyed al fresco amidst the olive trees. Breakfast is served by the pool and overlooking the striking Atlas Mountains. You can enjoy the all day menu anywhere around the hotel, enjoy a picnic in the gardens, grab a snack on the terraces or pick your spot in the restaurant for a more formal dining experience. 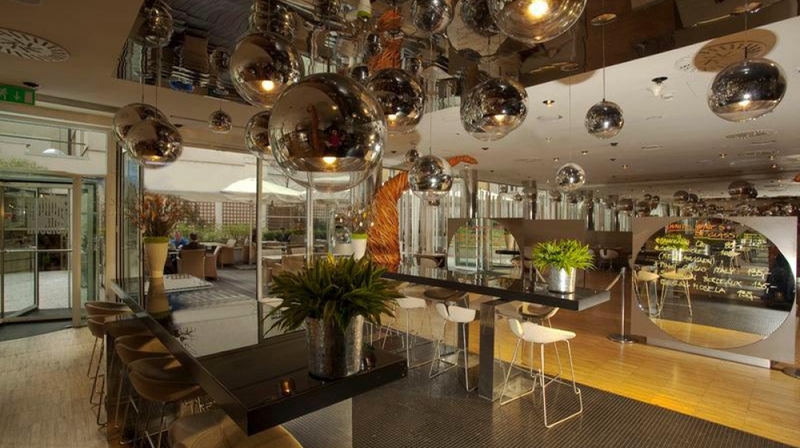 During the high season, the rooftop bar and dance floor above the restaurant is opened. 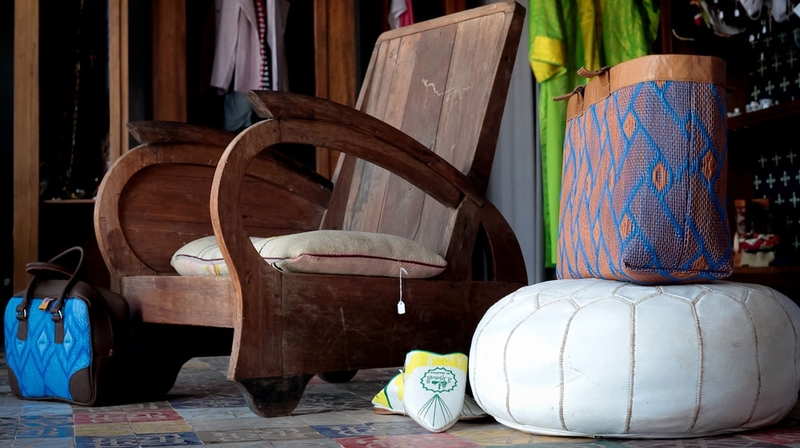 Eco-friendly cleaning products and lightbulbs are used, and organic toiletries are provided in rooms.